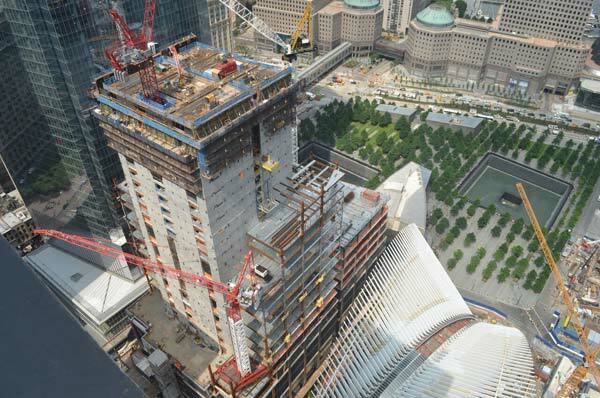 Construction work on the 3 WTC already started back in 2010 with the building of the foundation and a part of the reinforced concrete inner core accommodating elevators, staircases and supply lines. 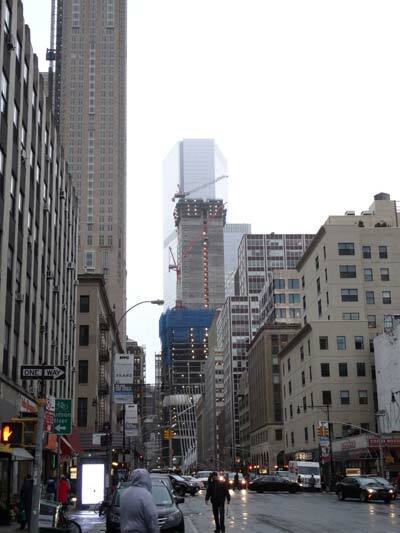 The WOLFF 700 B US, equipped with a 55-meter jib and an additional five-meter fly-jib, is expected to be in use until mid-next year, lifting steel columns and girders for the outer shell of the skyscraper. 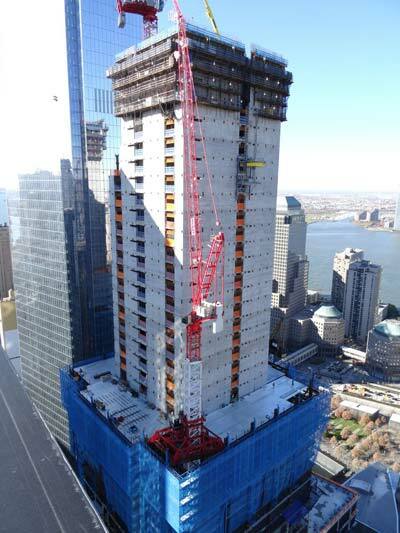 Although a standard construction method in modern high-rise construction, the WOLFFKRAN team was faced with the challenge of having to position the crane extremely close to inner core. With the construction of the core always several floors higher up than the outer shell, a crane with a very small tail swing was required in order for it to rotate freely. The WOLFF 700 B US, already equipped with a very short counter jib, was therefore specially adapted for this project with an even shorter counter jib of 7.4 meters. The WOLFF will rise with the building to a height of approx. 300 meters by means of an internal climbing mechanism.